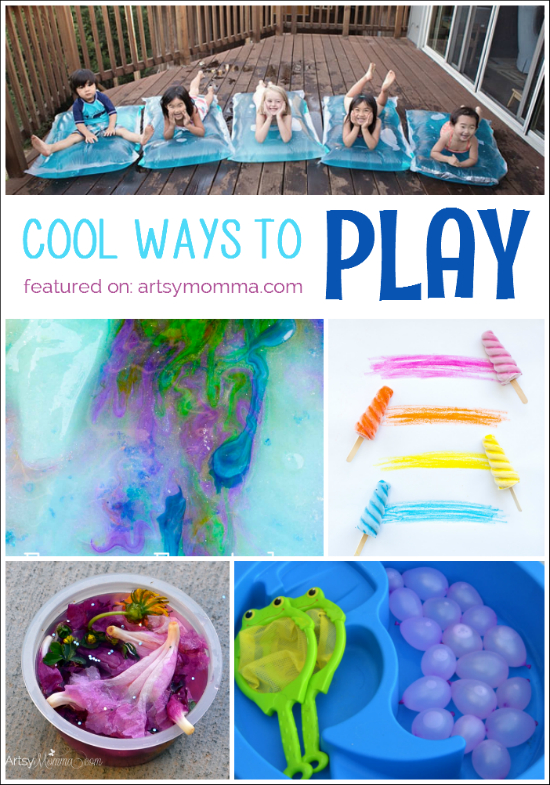 Home » Sizzlin’ Summertime Fun: 15 Cool Ways to Play! If you’re looking for a fun way to beat the heat on a hot summer day, then you’ve found the right place! These sizzlin’ summertime activities are perfect for celebrating the end of a school year or as a boredom buster throughout the season. 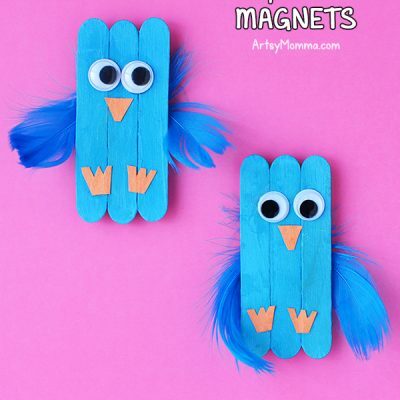 We’ve rounded up 15 cool ways to play that are easy-to-make, require common household items, and a few are also a great way to sneak in a few STEAM lessons over the summer. Water Balloon Games – see how our whole family played a couple games together. Fairy Soup Pretend Play – foster imagination and creativity with this pretty nature activity! Scented Bubbly Soap Foam – so many different color options! Alphabet Water Tracing Activity – great for preschoolers to practice letter recognition. Toddler Car Wash – wash the bikes too! Soap Boat Races – Inexpensive and fun for all ages! 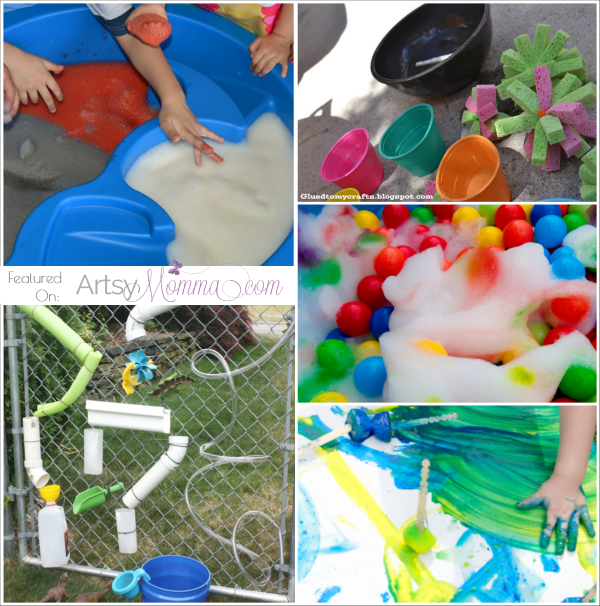 Frozen Paint Cubes Process Art Activity – we love messy fun! This makes a great open-ended art activity for kids. Frozen Fractals Play Activity – an artsy sensory activity that the kids can taste if they’d like and the results are gorgeous! Sponge Ball Water Painting – these have been on our must make list for awhile. They are a fun alternative to water balloons. Freezer Paint Popsicles – simple to create and a colorful alternative to sidewalk chalk. DIY Mini Water Blobs – SO A.W.E.S.O.M.E. You won’t believe how doable these are! I love that this creative maker mom added a few toys inside for even more fun. Pretend Baby Bath Station – cute way for kids to play while being able to incorporate life lessons at the same time. DIY Water Wall – kids can get involved in the engineering process for this cool STEM activity! Bubbly Ball Pit – what kids doesn’t love bubbles or balls? Together is even better and provides a fun sensory experience as well! What cool ways do you play on the long summer days to keep the kids busy? 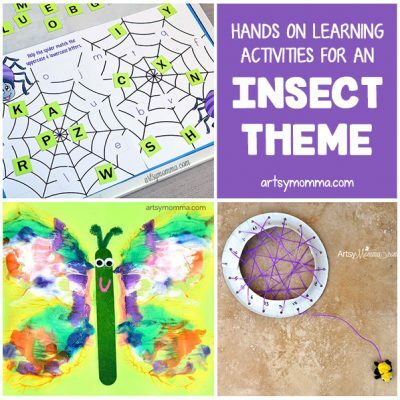 « Learn with Play – Super Awesome Book for Kids Activities!